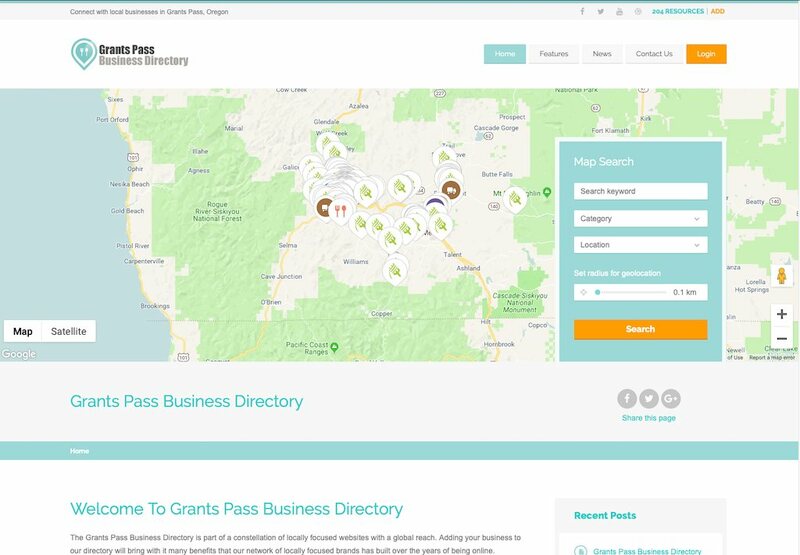 The Grants Pass Business Directory is part of a constellation of locally focused websites with a global reach. Adding your business to our directory will bring with it many benefits that our network of locally focused brands has built over the years of being online. Best of all – listing your business here on Grants Pass Business Directory is completely FREE! Sometimes listings are automatically added or added by others, possibly customers. By claiming your listing you will be able to manage the listing yourself and change or add categories where your listing will appear. Claiming your listing is completely free. Rogue Valley Video provides aerial video and photography services utilizing remote controlled vehicles (UAV/Drone) to provide cost effective aerial video and photography services to the real estate, advertising, tourism and event promotion industries among others. Grants Pass Scene is dedicated to helping people living in Grants Pass and the surrounding areas, and also visitors to our area, to find out where they can go to see our local artists perform. Vacuuming Dusting and Damp Wiping Breakroom/Lunchroom Cleaning Trash Removal Gentle Touch Janitorial is located in Grants Pass, Oregon and serves small to mid-sized businesses and private residences in the Josephine County area. Phone: 541.291.3296 Web: gentletouchjanitorial.com Janitorial and Housekeeping Services with a Gentle Touch. Rogue Valley Media in Grants Pass, Oregon. Elegant Website and Digital Media Design services.